William Dean Cay, Turks and Caicos. William Dean Cay is an uninhabited 1.6 acre (.7 ha) cay is found off the South Dock area of Providenciales. The coastline of the cay consists of limestone cliffs, and low coastal plants cover much of the island. 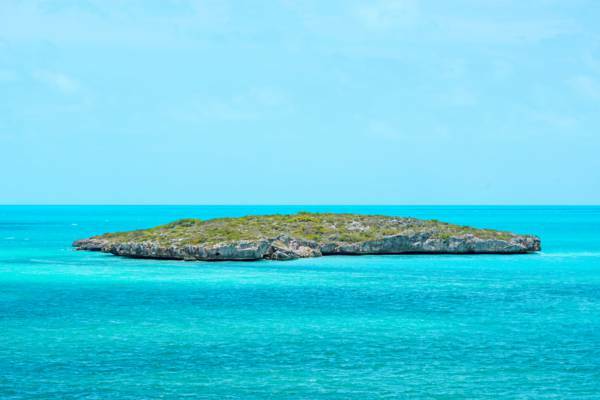 This cay is little more than large limestone rock with coastal plant life.